Verena Cornwall is overseeing a study for the circus industry in the EU, the result of which will affect the funding the industry receives in the future. As a commissioner and programmer of contemporary circus, through her company Circus Futures UK & ROI and as developer of street and circus arts across Europe for years, she is the certainly the right person for the job. Cornwall has been commissioned to undertake a number of pieces of country-wide and EU-wide research focused on circus and has spoken at conferences around the world on arts and science topics. She is a founding member of CircusNext, an EU judge and co-organiser for the EU Foundation. CircusNext has invested more than €5m in talent development for the next generation of contemporary circus authors in Europe and is now the platform for Circus in Europe.The CircusNext European Season in 2017 alone included over 306 performances across Europe by 49 laureate companies.Cornwall was also a founding partner for the UK in the Circus and Street Arts Come and See (CASCAS) Creative Europe funded project, along with Sweden, Finland and Belgium. Cornwall has sat on a number of EU and country-wide boards in the not-for-profit sector for the last thirty years including: Area Member Arts Council England (UK) (grant-in-aid £700m per annum); The Association of Circus Proprietors of Great Britain (UK), Nottinghill Carnival (UK) and Waterford Spraoi Festival (ROI.) She is a Founding Member of Circostrada, the European Network for circus and street arts. Cornwallis presently studying for a PhD at The University of Exeter. Read more about the survey she is overseeing in her letter below and follow the links to participate and improve the mapping of EU circus organizations and the funding received. She plans to share her PhD level research work on the topic with CircusTalk again by the end of 2019, so stay tuned for the results. 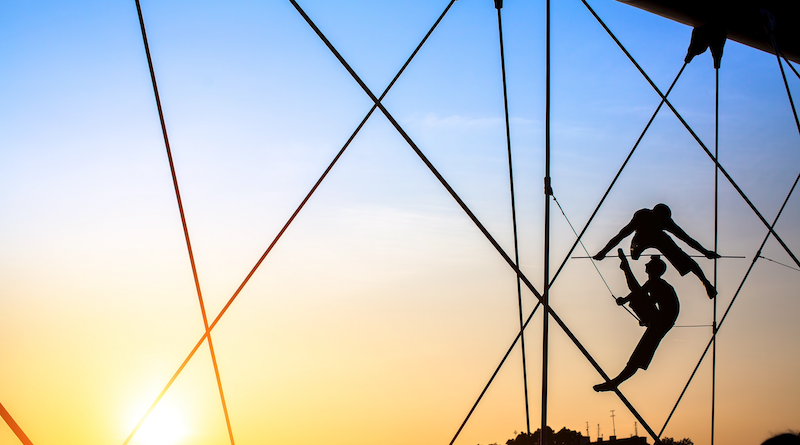 As part of this Study, which was initiated by the European Commission, the census aimed at professionals who in 2018 were in any capacity working in the field of circus in a European Member State is now live. If you worked in or with the circus industry in Europe in 2018, in contemporary circus arts, traditional/classical or commercial circus or any combination of these, and in any type of employed or self-employed role you are invited to please participate. Different language options can be accessed by clicking the top right hand corner. The link for companies is suitable for creation centres, training schools, theatres and festivals as well as circus companies. The Expert Panel for the Circus Census comprises: Fédération Mondiale du Cirque, The European Circus Association, CircusNext, Circostrada, FEDEC and ENTE. Thank you to these Partners. Link for professionals to participate in the survey. Link for organisations to participate in the survey. This Study will make a significant difference to the overall funding and status of circus in Europe if it is able to capture the breadth and magnitude of the industry. To do this it requires a high number of people working at a professional level in or with the industry to participate. Please can you be kind and circulate the link to other circus colleagues, venues and festivals. The deadline for completion is 28 February 2019 when the on-line portal will close. Your time dedicated to this circus census is very much appreciated. The Situation of Circus in Europe Study is funded with support from the European Commission.